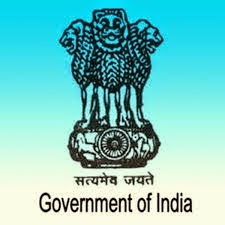 UPSC Calendar 2016 PDF Download: UPSC (Union Public Service Commission) is the big government recruitment organization in India which was working under the control of Indian Govt. The role of UPSC is to conduct the Competitive Exam & Interview all over India for filling the vacancies in the government organizations. Many candidates are unable to get the correct info about the competitive exam dates in UPSC. They are advised to subscribe in our website bu using their individual E-mail address to get latest updates regarding the UPSC exam notification 2016. Our indiagrade.com web portal is providing all the latest UPSC Recruitment date 2016. So the candidates are advised to keep watching our web page regularly for getting new updates about the UPSC academic calendar 2016. The clear details of the UPSC Exam Date 2016 is available below for all important competitive exams. Special Class Railway Apprentices Examination. You ca get the full list of the UPSC job vacancy calendar 2016 form the link available below. The UPSC recruitment 2016 will be based on the educational qualification like 10th / 12th pass, diploma holders, Graduates (Engineers / Officers Assistants / Doctors / Dentist). Disclaimer: The contents of this Indiagrade site are only for immediate information. Candidates are advised to verify the same from UPSC office or from the notifications published in the Employment News. Indiagrade is not responsible for any error in the UPSC Calendar 2016. Recruitment by selection through interview.